Pawleys Island, SC – A big move by junior Alex Vegh helped bring Austin Peay State University men’s golf into the top-five at the 2018 GolfWeek Program Championship at True Blue Resort. 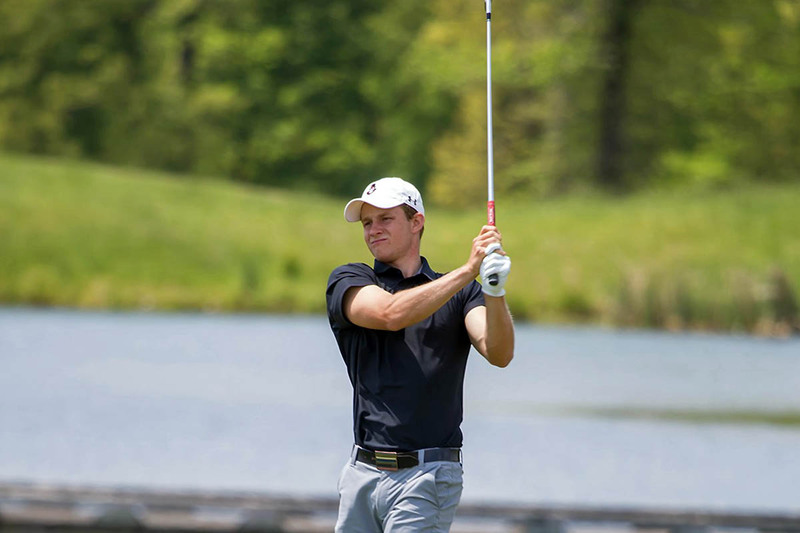 On a day when nine of 14 teams were multiple shots above par, the Govs maintained their composure to post a one-over 289, vaulting ahead of Stephen F. Austin and Delaware to tie Bradley for fourth at 571 (five-under par). Campbell (543) remains atop the leaderboard, with Gardner-Webb (562) and Old Dominion (567) also in the top-three. Vegh fired a three-under 69 to vault 14 spots up the leaderboard and into a tie for seventh overall at 139 (70-69). He opened with birdies on four of his first five holes to get the Govs off to a good start and enable him to a team-best 34 on the front nine. Freshman Micah Knisley, who was the Day One leader for the Govs, proved that was no fluke by posting a one-under 71 to sit at four-under (69-71—140), tied for 11th; his 3.88 average on par-4 attempts makes him the lone Gov averaging better-than-par on intermediate distances. As Vegh opened the round on fire, Knisley carried the Govs at the turn, birdieing five straight on holes 8-through-12. Also lurking near the top 10 is sophomore Chase Korte; the Metropolis, Illinois native checked in at one-under on the day and three-under for the tournament (70-71—141) and is tied with Vegh for a team-low 2.90 average on par-3 holes. Sophomore Garrett Whitfield and junior Michael Busse closed out Austin Peay’s second round with matching 78s; Busse is at 153 (75-78) with a round to go, while Whitfield (73-78—151) remains tied with Korte and three others for most pars (27) in the tournament. The Govs have 18 holes remaining at True Blue, with Austin Peay set to tee off at 7:15am (CT), Tuesday, paired with Gardner-Webb and Bradley.